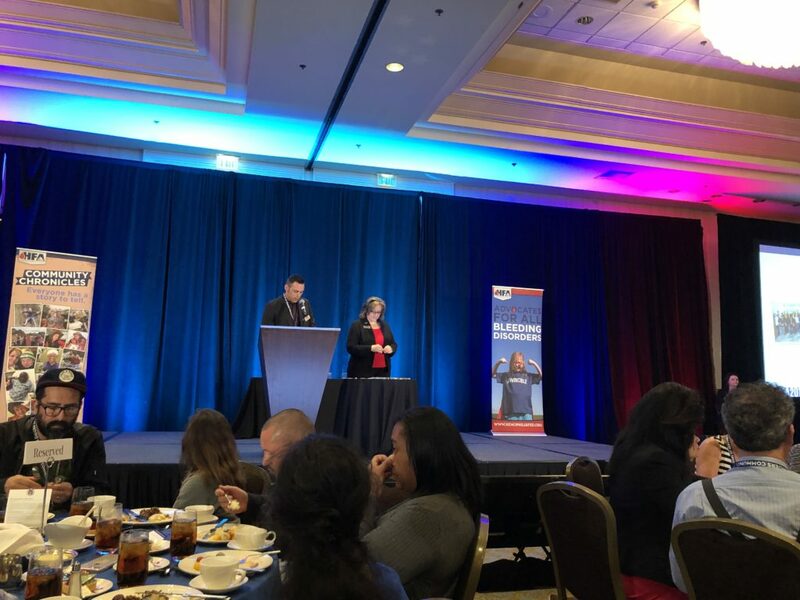 HFA: 25 Years of Advocacy – LA Kelley Communications, Inc.
Hemophilia Federation of America (HFA) celebrated its 25th anniversary this past week in San Diego. I remember HFA in its infancy, when its annual meeting drew about 100 attendees. This past week over 1,200 people, mostly consumers, gathered from all parts of the country to learn, socialize, hold remembrances, and give awards. An HFA meeting is also a chance to network, to brainstorm new ideas to meet the ongoing needs of the bleeding disorders community. Three hot topics? Women and bleeding disorders: how to include them in our data, discussions, treatment and future. Gene therapy: what will it look like, cost and be available? And perhaps the most urgent: mental health issues and how to identify and treat them. This last issue for me is paramount. A year ago we lost Barry Haarde, who was a prominent contributor and attendee at HFA. His absence was very much felt. Since his passing, so many community members have opened up about their own mental health issues, including depression and anxiety. To address these issues, I was privileged to listen in on some exciting programs and ideas that could help not only patients but caregivers better deal with stress, sadness and overwhelm. My good friend Debbie de la Riva, who knew Barry, a fellow Texan, started “Mental Health Matters Too,” following his death, to bring the issue forth in meetings across the country. Her program is appearing everywhere it seems. Visit Debbie’s website, www.MentalHealthMattersToo.com, to see if it will be coming to your state. I know it’s coming to New England in October, and I hope to attend. The three days of meetings felt like a week, and I mean that in a great way! It’s always a wonderful feeling to spend time in this community, which is like family. 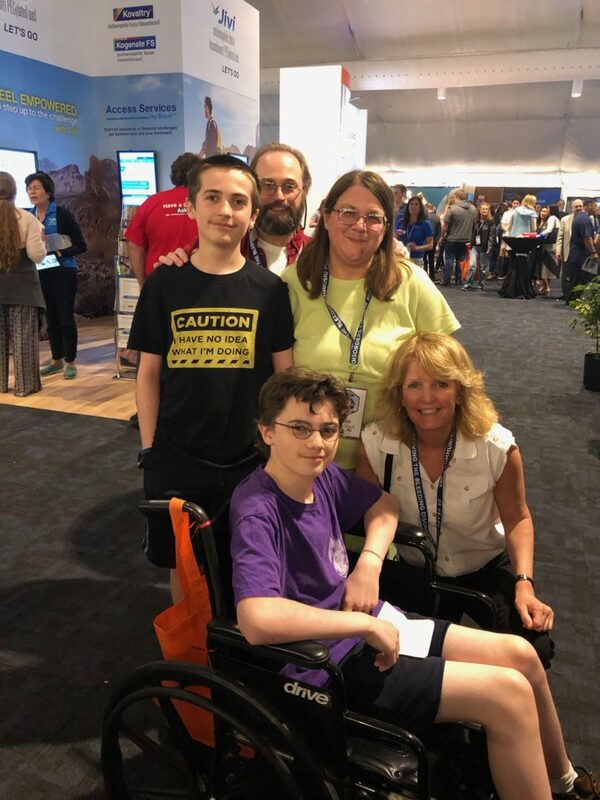 I’ve been in this community for 31 years, and one of my highlights of the week is to bump into people like Sam Doughty of Tennessee, who I have known since he was a child. Age 34 now, and president of the Tennessee chapter, Sam is a fine example of young men who have taken the reins not only of their disorder but also of the future of the hemophilia community. 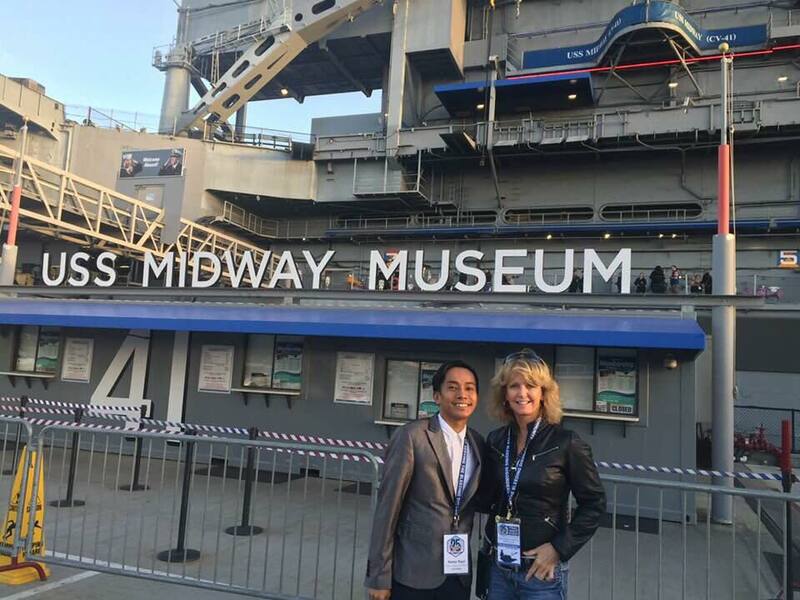 The conference was capped off with an incredible final night aboard the USS Midway. Above the sea and under stars we had drinks, food, dancing and fireworks! Check out photos here to see more! Thank you, HFA, for making such a huge difference in so many lives, and for giving us the chance to have a reunion; it strengthen the bonds and brings us joy. Bleeding disorders can never defeat us!